In our continuous effort to stay informed on industry trends, including upcoming legislation and case law affecting the industry, we recently attended the National Association of Professional Background Screeners (NAPBS) Annual Conference in Orlando. The theme of this year’s conference was Creating Magical Connections. The conference kicked off with an inspirational keynote address by Lee Cockerell of Lee Cockerell, LLC, called Lessons in Leadership, Management and Customer Service. YOU Can Create Disney Magic Too! Following the keynote, a variety of educational session tracks were offered covering the areas of Legal/Compliance, Business, International, Drug Testing, and Tenant. The Federal Trade Commission, through Assistant Director, Robert Schoshinski, continues to educate consumer reporting agencies (background screeners) and end-users of consumer reports. The FTC is committed to learning about the issues faced by background screeners, such as the barriers created when access to data is limited. The industry anticipates the increased introduction of legislation at the state and local levels impacting the use of background checks and the ability to access court documents. NAPBS has engaged Brent Smoyer, a state and local government relations director, to educate legislators of the unintended consequences of these restrictions. 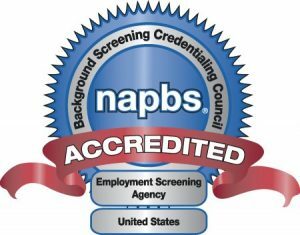 Companies such as Boeing, Eli Lilly, and the University of Delaware presented, noting that while it is apparent their expectations include background screening reports being accurately and timely delivered, they would like to see additional collaboration and communication from their background screening providers throughout the process. The freelance/gig economy continues to grow and is requiring a change in the way background checks are delivered. The leading industry attorneys from around the country provided various sessions on compliance and trends impacting the industry, based on recent court rulings. They also reminded background screening attendees not to give legal advice and to encourage end-users to review their processes with their legal teams.